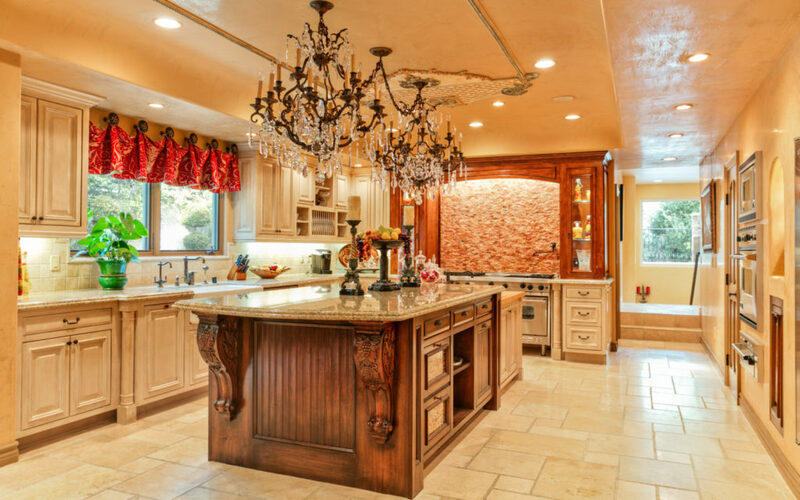 Hundreds of millions of “Keeping Up With the Kardashians” viewers have watched the Kardashian clan call this Italianate-style mansion home – despite the fact that no Kardashian has ever actually lived on the grounds. 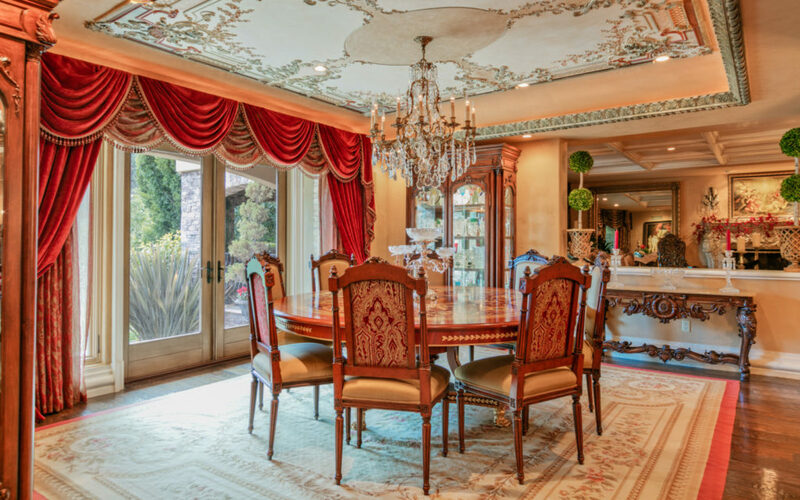 The 7,800-square foot Studio City home has served as the public-facing facade for Kris Jenner’s residence, as well as the central family gathering place, since season 4 of E!’s zeitgeist franchise (now in its 13th season). 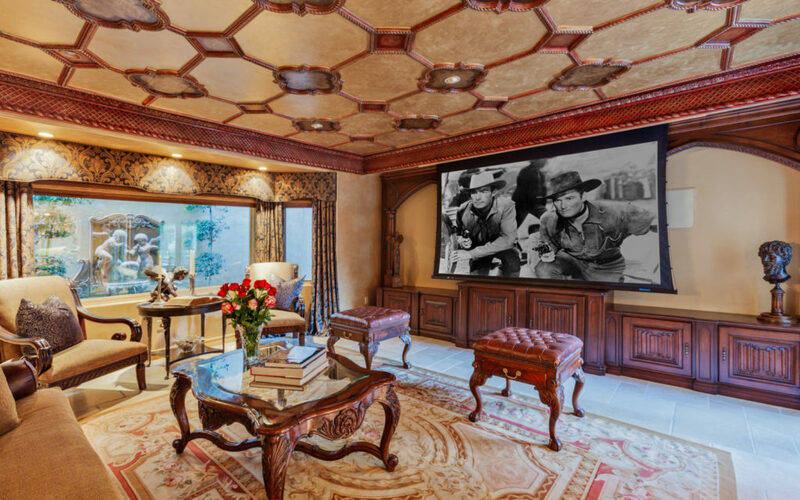 This iconic piece of pop culture history, known as “Palazzo Dei Sogni” and listed for $8.995 million, is now on the market for a new family. 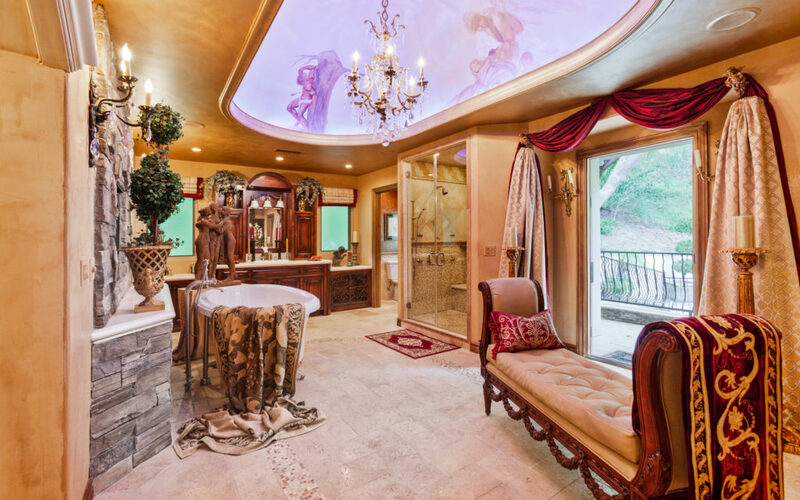 “Keeping Up With the Kardashians” viewers never got to see the interior of the opulent estate, which is very clearly fit for a queen (or Momager). 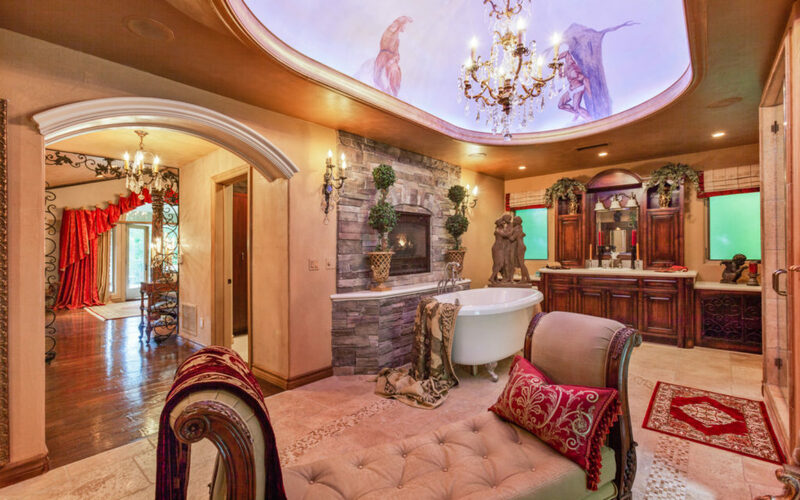 Inspired by the Medici castle in Florence, Italy, the 7-bedroom, 8-bathroom mansion includes luxurious features rich with history – including sconces imported from the Paris Opera House, a centuries-old stone fountain, a saltwater pool with a waterfall, and chandeliers adorning just about every room. Built in 1983 and extensively remodeled in 2005, the villa extends its opulence to its modern elements, from one-of-a-kind murals hand-painted by local artist Giorgio Tuscani, to indoor and outdoor chef’s kitchens complete with state-of-the-art Viking ranges, and a 2,000-bottle wine cellar. The outside living spaces are just as luxurious as the indoor amenities, offering sweeping views, intimate gathering spaces, and a covered veranda accessible from the master suite. The estate is situated on nearly an acre of land, and the entrance’s intricate steel gates provide ample privacy (not to mention a driveway with room for up to 10 vehicles). 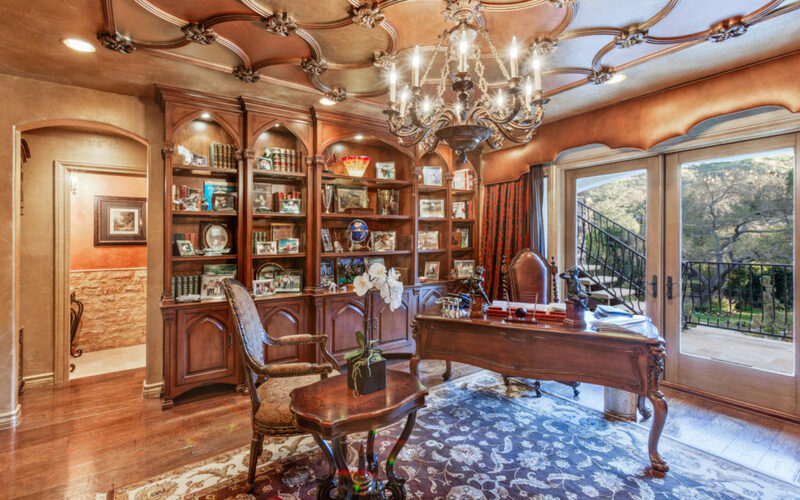 Robert E. Howell of Keller Williams Beverly Hills holds the listing. ← Do You Qualify for Treasury Down Payment Assistance?